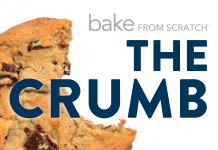 Use this year’s spring cleaning to make room for these new baking classics. Tackling the “how” and, more importantly, the “why” of baking, Erin McDowell’s The Fearless Baker is all about building up confidence and expertise for seasoned and fledgling bakers alike, supplying them with the tools and techniques to help face their baking phobias head-on. 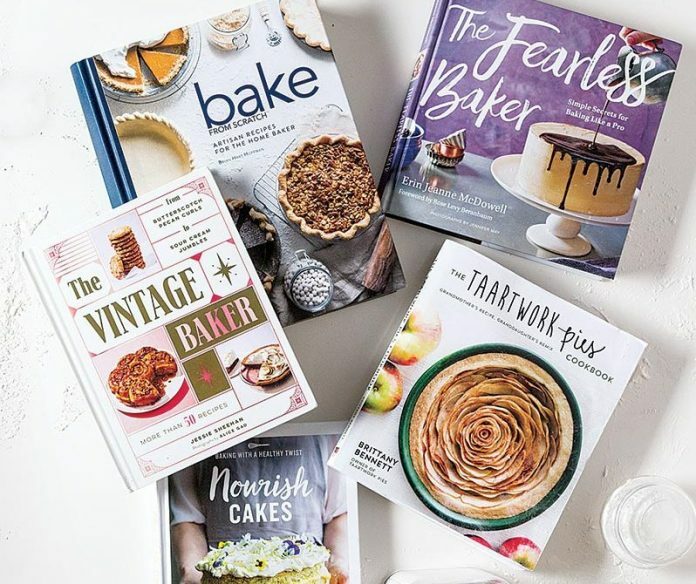 Whether your anxiety is baking pie, laminating pastry, or whipping up the perfect sponge cake, Erin’s reference book will help you ace the basics so that you can boldly begin experimenting on your own. Can’t wait to make: Chocolate Palmiers, a demystified version of the famous puff pastry cookie with countless buttery layers, done up in sweet cocoa form. Blending her grandmother’s Dutch method for pie making, lovingly called Taartwork, with American pie tradition, Brittany Bennett’s The Taartwork Pies Cookbook celebrates generational baking specifically through pie. The book is divided into seasonal chapters, so you’ll find the perfect pie recipe for everything from apples and pears to apricots and peaches. Can’t wait to make: Elderflower Strawberry Pie, a floral pie that combines elderflower cordial and fresh strawberries for a blooming spring dessert. Stop sneaking vegetables and whole grains into your baking. Instead, take a page from Marianne Stewart’s Nourish Cakes and promote healthful ingredients to the starring role they deserve. 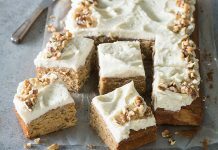 Making use of familiar veggies such as carrots, sweet potatoes, and rutabaga, Marianne also incorporates some unusual additions, like eggplant, parsnip, and beetroot, which will introduce bakers to surprising new favorites. Can’t wait to make: Heritage Carrot Layer Cake, a triple decker cake that makes use of purple, orange, and yellow carrots for natural color and flavor. The hard-won result of collecting, testing, and tweaking hundreds of heirloom recipes gathered from vintage baking booklets, Jessie Sheehan’s The Vintage Baker is a sweet blend of cheeky nostalgia and modern-day baking innovation. 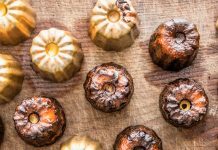 Expect to find revamps of classic standards like silky Bavarian Pie with a Mexican hot chocolate twist, rich Devil’s Food Cake with espresso undertones, and a glossy chocolate- and ginger-glazed update of Molasses Doughnuts. Can’t wait to make: Silver Cake with Pink Frosting, a simple throwback to the white cakes of old, but with a stunning coat of perfectly-pink buttercream. Yep, we’re proud publishing parents again. This complete collection of our 2017 recipes is the ultimate resource for the serious artisan home baker. From the towering layer cake to the flaky comfort of double-crusted pie, each recipe combines creative ingredients with straightforward techniques, creating an indispensable cookbook that you’ll turn to again and again. Can’t wait to make (again! ): Natural Strawberry Cake with Browned Butter Frosting, a strawberry cake that introduced us to the sweet-tart magic of freeze-dried strawberries in baked goods—not to mention the transformative power of Browned Butter Frosting.